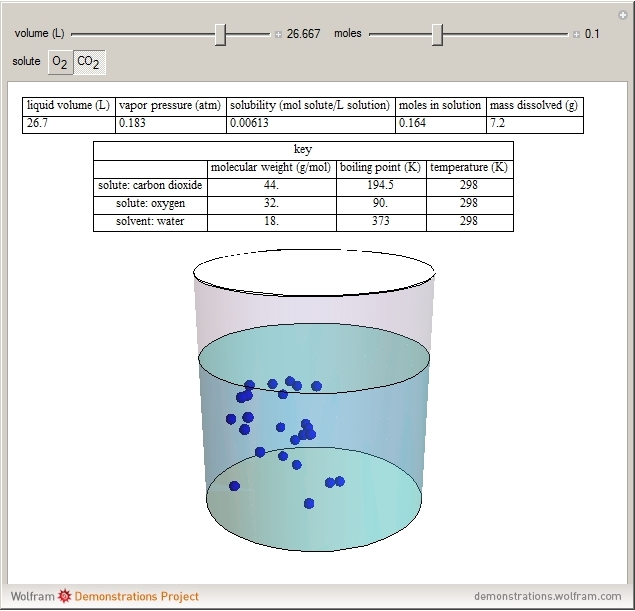 This Demonstration considers the solubility of two different gases, and , in water. 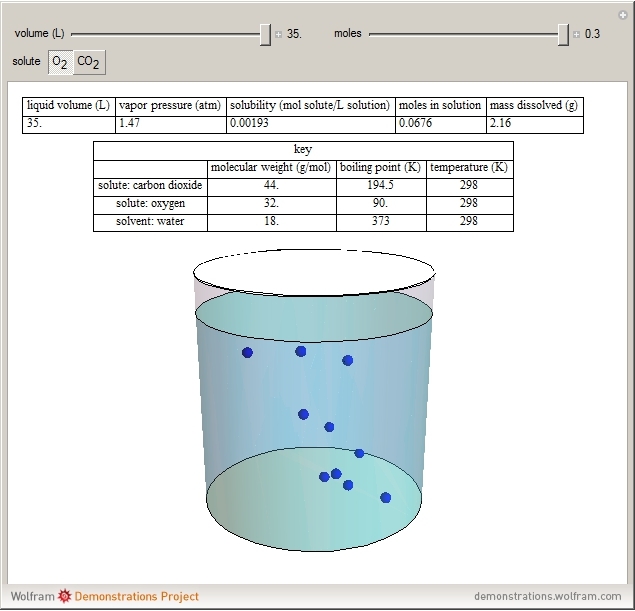 The "volume (L)" slider changes the amount of water in the cylinder, while the "moles" slider changes the number of moles of gas in the cylinder, roughly modeled by the number of blue spheres. 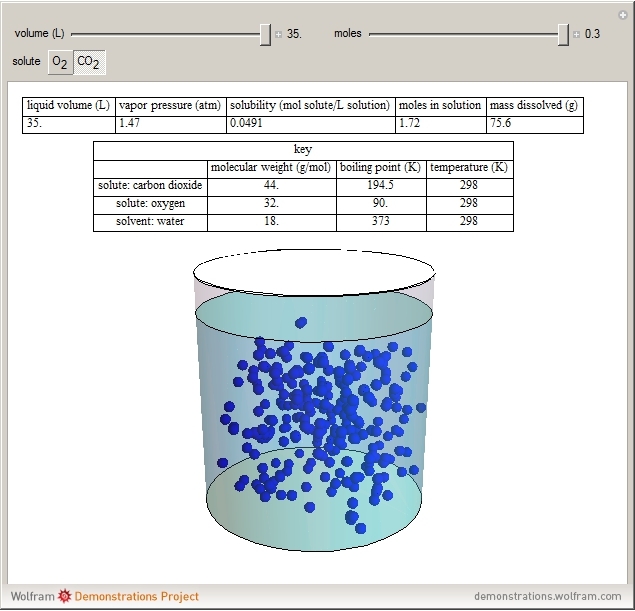 By Henry's law, , the solubility of a gas, is proportional to , its partial pressure above the solution: . At 298 K, the Henry's law constant equals for and for . W. Emmerich, B. Rubin and R. J. Wilcock, "Low-Pressure Solubility of Gases in Liquid Water," Chemical Reviews, 77(2), 1977 pp. 219–262. "Henry's Law for Oxygen and Carbon Dioxide"